I am in my fourth year of learning to play the violin, about a year of that playing on my own. My teacher was offered a great teaching job and I didn't want to start with someone else because I knew I would be moving, which I did. Still haven't found a teacher yet, but I still continue to practice. 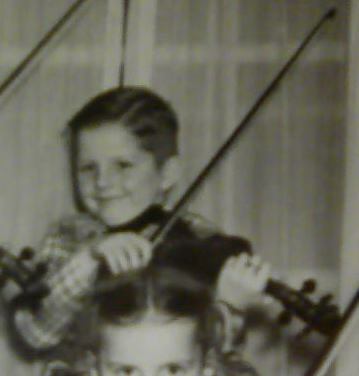 ANYWAY, pretty much from the beginning, I would and still get physically hot when playing the violin. No joke! Within 15 minutes, I am uncomfortably warm and at 30 minutes, I am literally sweating. Only happens when I am playing and when my practice is over, I begin to cool down. I have searched the internet looking for a reason and haven't found anything addressing this. Anyone else experience this? During the winter, I turn the heat down before practicing because I get so warm. Now that it is summer, I turn the ac on about 30 minutes before so I can get through my practice, but I am still sweating after 30 minutes. Please, this is not a joke or a prank, otherwise, my health is very good. I would love to analyze that. Perhaps a video of how you play. My guess would otherwise be that you put a lot of energy and emotions into your playing. Hi Kathy, thanks for responding. I still heat up with the a.c., without it, I don't know if I would be able to practice at all during warmer weather, and a fan is out of the question. 45 minutes is the longest I can play, and that's during the winter with the heat off, otherwise 30 minutes is my limit, also dripping with sweat. If I were a more accomplished violinist, I don't know how I would be able to play more than 30 minutes at a time. I get that too, always have. Just something about playing music for some people always works up a bit of a sweat, I think. I've known enough musicians over the years who were that way that I'm pretty sure it's not all that unusual. And it *is* the music that does it somehow. One band I was in, we had free weights and some exerise machines in the same room as we rehearsed in, and we used to work out a bit between practice sets to cool off. LOL And yeah, that actually worked. I think some folks get a bit more physically involved with the music than others. Remember to stay hydrated and keep your snacks and beverages healthy while practising. Yep I get that a lot too. In fact, I find I get hot and sweaty whenever I'm doing a task that I'm struggling with, be it DIY, coooking, playing music. I think (for me) it's probably a stress reaction of some sort. For the top two Canarie's, Jane and Kathy.